Hard boiled eggs are difficult to peel mostly because they are hot. 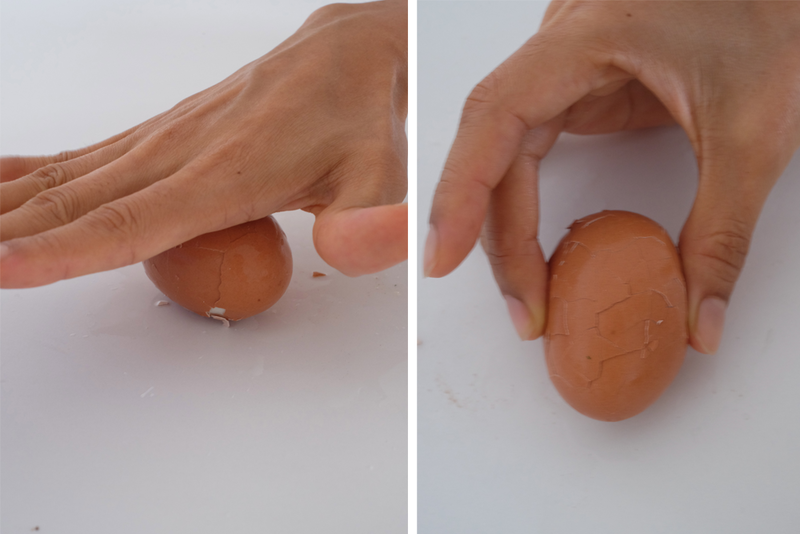 To make peeling easier, wait for the egg to cool down. 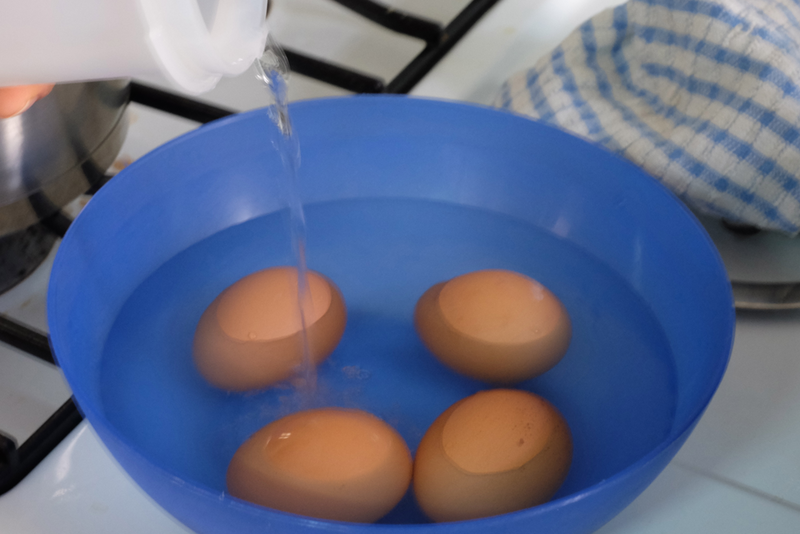 If you are in a rush, cool down the egg by putting it in a container of cold water. Firstly, crack the egg shell by gently knocking it on a hard surface. Then, using the palm, roll it on a hard surface white giving a little pressure. The shell should crack, forming a web of broken shells. 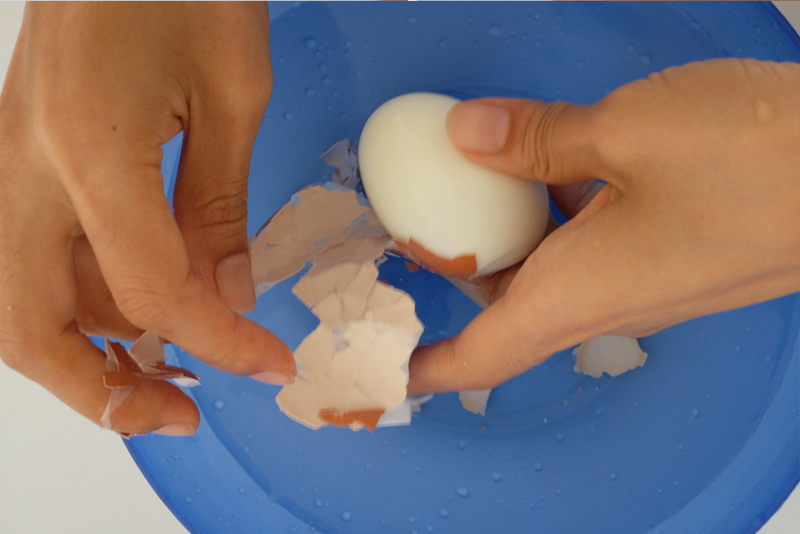 Lastly, submerge egg in a bowl of warm water and peel of the egg. The shell should slip off in less than a second.